Octocosanol is a fatty acid that is commonly found on plant leaves, such as Eucalyptus. 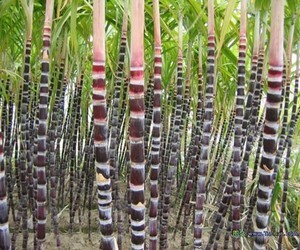 It is the active oil that is found in wheat germ and it is also found on sugar cane. Octacosanol supplements are beneficial to athletes as well as to certain people suffering from specific conditions. There are some potential side effects from taking octacosanol supplements; however it is not known to be toxic. It can have some adverse reactions when interacting with other drugs. Although there is insufficient evidence to support octacosanol as a treatment for medical conditions, further testing may reveal that octacosanol is a supplement worthy of consideration. Octacosanol has been studied since the 1930s for its potential benefits on athletes. One of the biggest benefits of octacosanol may very well be to athletes. Octacosanol can help improve your alertness, giving your workout more endurance. Octacosanol (which is also referred to as wheat germ) can help you build your strength. Although these claims have not yet been substantiated, many athletes attest to the positive benefits of octacosanol supplements. Another boon to athletes is the increased metabolic rate that can occur when taking octacosanol supplements. If your metabolism goes up, you can burn more calories and fat. In turn, this can help you lose weight and build muscle. The domino effect is additionally beneficial, since you burn even more fat when you build more muscle. Additional benefits of octacosanol that have not yet been proven include improvement for people with Parkinson’s disease or with Lou Gehrig’s disease. Although more studies need to be done, initial results show a bigger advantage for people with Parkinson’s disease over people with ALS. It is also possible that octacosanol supplements can benefit people who have high cholesterol or hardening of the arteries. If you have a skin condition such as eczema you may also benefit from taking the supplements. While there is no cure for herpes, octacosanol supplements may be able to aid in herpes infections. One of the lesser known benefits that octacosanol supplements may provide is an enhanced libido. It can also help you relate better to stress, which can greatly improve your mind’s performance as well as that of your body. Although there is some evidence that octacosanol supplements can help patients suffering from Parkinson’s disease, it may also worsen some of the symptoms. This could be due to a drug interaction with drugs such as Levodopa/Carbidopa that are commonly prescribed for Parkinson’s disease. The symptoms that become worse include dizziness, stress, and involuntary muscle spasms. You should not take octacosanol if you are being treated for Parkinson’s disease without first discussing the implications with your doctor. Other people who should avoid octacosanol supplements include women who are pregnant and women who are breastfeeding. Children should also not take octacosanol supplements until further studies are performed to test for safety. There are no known side effects other than the drug interaction with Levodopa/Carbidopa. However, because more testing is still needed, you should tell your heath care provider about all of the drugs you are taking, including any other over the counter medications or herbal remedies. Octacosanol is a natural product and does not have a medical dosage recommendation. However, the manufacturer of octacosanol supplements may provide you with suggested dosage guidelines. Some factors that can affect the doses include how old you are, how healthy you are, and what medical conditions you may have. An athlete who is taking octacosanol for endurance purposes can take up to 20mg per day. However, the dosage should be split in half and taken twice during the day. Octacosanol supplements come in capsules, powder, and concentrated formulas. If you take these health supplements routinely at mealtime, you should start to notice the results in approximately eight weeks. Oftentimes, octacosanol is combined with polycosanol, which is another natural alcohol that comes from sugar cane and wheat germ. These two supplements are not the same, although they may be blended when you buy octacosanol supplements. Some octacosanol powder supplements are only 30% octacosanol and 99% polycosanol. If you are looking for pure octacosanol you need to check the ingredients of the supplement you are buying. Octacosanol capsules tend to be more pure with octacosanol being the primary active ingredient. Unless you take medication for Parkinson’s disease, there are no known side effects. Therefore, it should be safe for most people to take octacosanol supplements. However, before taking any natural or dietary supplements you should check with a health care professional. Use the nutrition page and the free supplement finder now!